We offer guitar lessons for Glen Ellyn, Wheaton, and beyond. We offer guitar lessons for Glen Ellyn, Wheaton, and beyond. What is unique about our guitar department is our holistic approach. As the adage goes: “Give someone a fish and you feed them for a day; teach someone to fish and you feed them for a lifetime.” Many rock guitar methods merely “give fish,” in that they really only intend for you to learn songs (and that, by rote). While not harmful, this method is somewhat incomplete. To put it another way, it is akin to an English speaker memorizing a haiku in Japanese without even knowing what the words mean. We are committed to “teaching our students to fish,” in that they do not just learn songs; they learn how to learn songs. This is achieved by giving attention to sight-reading, music theory, proper technique, and ear-training/improvisation - all of these enable the student to engage any genre they desire, be it folk, pop, rock, blues, jazz, or classical. Our students keep coming back every year because they have been mentored into this “holistic approach” by our instructors. We have a faculty of three professional, conservatory-trained guitar instructors who bring their expertise and love of music and teaching to bear on their lessons. Adam Huff began his study of the guitar at the age of 13 years old in the country of Belarus. He went on to study with Clare Callahan at Conservatory of Music in Cincinnati, Oh, where he earned his BM and MM in music performance. Adam has been teaching guitar and bass for thirteen years. As a teacher, he uses an integrated approach to teaching by using music from many different styles and genres to teach basic fundamentals. He enjoys finding out what students want to learn and later forms a curriculum around each students’ specific goals. New in 2015, he has implemented the world-renowned Royal Conservatory curriculum for his guitar students, while at the same time engaging them in world music (with this year’s focus being on Bossa Nova). In addition to teaching at Bellas Artes, Adam also teaches at Judson University. Adam lives in Aurora with his wife Christa and hopes to start a family someday. Canadian-born guitarist Kevin Brown is an experienced educator, performer, and composer in the Chicago area. He holds a B.M. in guitar performance from the Wheaton College Conservatory of Music and a M.M. in Jazz Composition from DePaul University. Some of his primary instructors have included Peter Ulrich, Willie Wiebe, Larry Roy, and Stephen Ramsdell with additional lessons and masterclasses with Scott Hesse, Mike Allemana, Steve Coleman, Rudresh Mahanthappa, Rez Abassi, John Patitucci, and many others. He has performed with musicians such as Jimmy Greene, Benny Golson, Jon Irabagon, and Marquis Hill and has appeared in some of Chicago's top venues for jazz, including the Green Mill and the Jazz Showcase. Kevin has performed at the Chicago Jazz Festival and the Iowa City Jazz Festival. Kevin Brown is an adjunct faculty member at Trinity Christian College where he directs the jazz ensemble and teaches private lessons in guitar and composition. Hailing from Maui, Hawaii where he started learning guitar and ukulele at age 9, Brian is now a teacher and performer in the Chicagoland area. 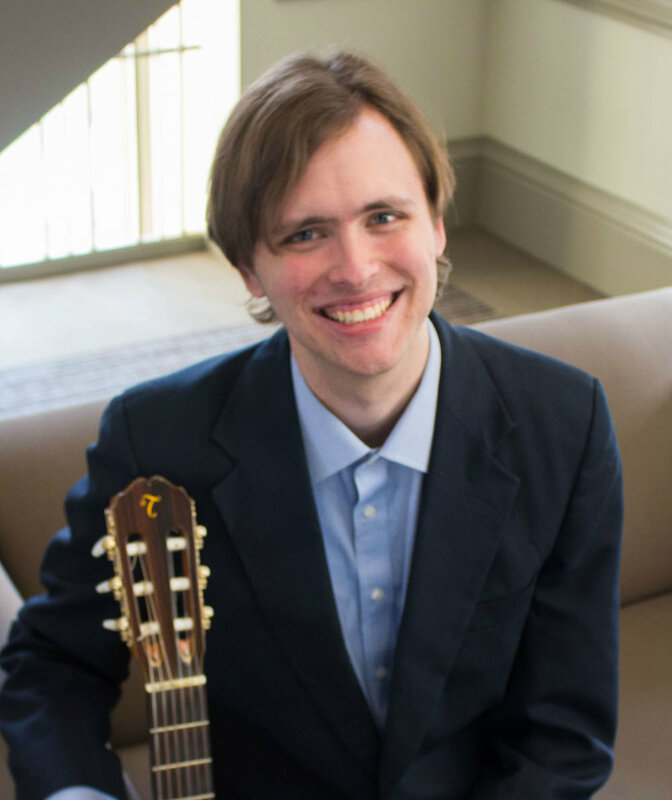 From multiple experiences with pit orchestras to winning an island-wide “battle of the bands” contest to a professional Conservatory degree in classical guitar, Brian is absolutely passionate about the guitar. While studying at Wheaton College under Dr. Brian Torosian, he performed with the jazz ensemble and was featured regularly as a soloist. These multiple experiences have made him a well-rounded musician, able to engage any genre of music, whether it's classical or jazz or rock. And this is exactly what he wants for his students as well! His desire is to see his students be able to play any genre of music they desire, by teaching them both the fundamental and the advanced techniques for successful guitar playing. Then, he walks them through the steps to learning a new song, whether it is already notated or requires transcription. Whether he is teaching or performing, what motivates Brian is the joy of sharing music with everyone. When not teaching, Brian enjoys creating classical guitar arrangements for popular music (TV shows, movies, stage musicals, and video games). He also loves spending quality time with his friends and family. Isaiah Eby is a multi-instrumentalist, singer, composer, and arranger who performs and teaches in the Chicagoland area. Growing up in a musical family in Indiana, he has been performing since he was a small child and became very passionate about music when he picked up the guitar at 11 years old. He holds a BM in Jazz Studies from Elmhurst College and has extensive experience playing and teaching classical, jazz, pop, rock, blues, funk, and gospel music, in addition to teaching traditional music theory and jazz theory. Isaiah has taught guitar, piano, voice, ukulele and bass to students of all ages and skill levels. Isaiah can be heard playing guitar, piano, and singing in a variety of settings in the area including with Stirred Not Shaken, Jazz Community Big Band, Driven, as a solo artist and freelancing with various groups. He also plays weekly as a praise team member at Community Baptist Church and as a song-leader at St. Paul's Lutheran Church.